Yesterday we tweeted to Isabel Gallardo who works at Lanjarón’s tourist office. 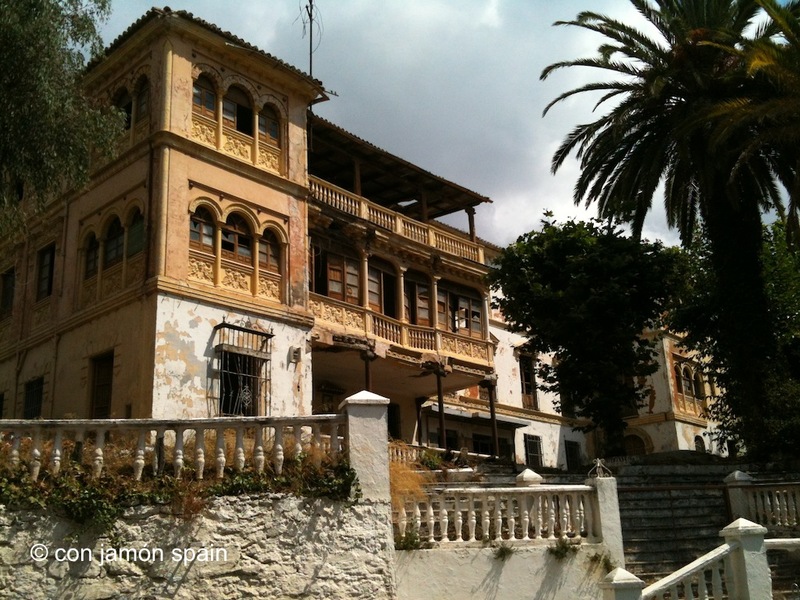 On several occasions we’ve walked passed a magnificent, but run-down, building on the road west out of town that goes to Granada. In fact, there are several buildings of note in this part of town, including Hotel España that the poet Lorca and composer Manuel de Falla visited. Its walls are dripping with framed poems, letters, photographs and, quite probably, music scores, although we’ve yet to see these. She responded saying that it was the former Hotel Park of Lanjarón and that there’s a project by the owners to build a luxury hotel. We were going to simply post the photograph below but are pleased we at least know a little more about the building. We’ve also found out that the hotel went bankrupt in the mid 1970s. Various surveys were carried out (e.g. in 1992) with a view to developing the place, but nothing came of them. The tourist office is just metres away from the old hotel.